Whether raising your game to SLR level photography or having fun with a feature-rich, versatile SLR you can use pretty much anywhere, the Canon EOS 80D Digital SLR Camera with EF-S 18-55mm f/3.5-5.6 IS USM Lens is your answer. 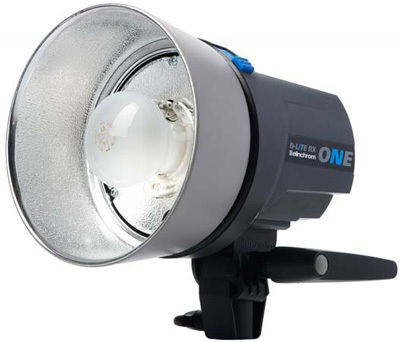 It features an impressive 45-point all cross-type AF system that provides high-speed, highly precise AF in virtually any kind of light. To help ensure photographers don't miss their shot, an Intelligent Viewfinder with approximately 100% coverage provides a clear view and comprehensive image data. Improvements like a powerful 24.2 Megapixel (APS-C) CMOS sensor and Dual Pixel CMOS AF for Live View shooting enhance the EOS 80D's performance across the board. Complementing the EOS 80D's advanced operation are built-in wireless connectivity and Full HD 60p movies that can be saved as MP4s for easy sharing. Merging power, precision and operability, the EOS 80D is a dynamic SLR camera for anyone ready to realize their creative vision. 45-point all cross-type AF system allows for superb autofocus when shooting with the optical viewfinder and focusing area selection modes - For next-level AF operation, the EOS 80D camera has a wide-area, 45-point, all cross-type AF system. 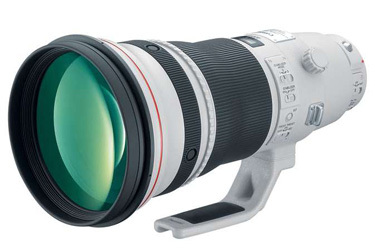 Excellent in dim light, it has improved low luminance performance to EV -3 and is compatible with most EF lenses (lenses with maximum apertures of f/8 or higher, and some lenses with extenders attached may operate at a maximum of 27 points). It also features 4 types of AF area selection modes useful for a number of different AF situations. These include user-selectable Single-point AF, Zone AF, where users can select from one of 9 predefined AF zones; Large Zone AF, where one of three zones can be selected; and 45-point AF auto selection, where the camera detects the AF point automatically. Intelligent Viewfinder with approximately 100% viewfinder coverage - Providing a bright and comprehensive view, the EOS 80D camera's Intelligent Viewfinder helps bring the thrill of SLR photography with each use. Approximately 100% coverage means there's virtually no guesswork when it comes to composition, and with all settings available at a glance, the Intelligent Viewfinder helps photographers keep their eye on their subject so the image can be captured at the right instant. 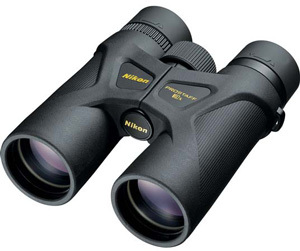 The Intelligent Viewfinder displays AF points and AF mode, has a grid display, a horizontal electronic level, plus numerous other points of information, all of which can be hidden for manual focus, or if the photographer simply wants to observe his/her subject without all the image parameters displayed. 24.2 Megapixel (APS-C) CMOS sensor helps provide impressive, high-resolution results - The EOS 80D camera features a newly developed 24.2 Megapixel (APS-C) CMOS sensor that not only captures high-resolution images, but also features refined individual pixels that enable high ISO speeds of 16000 for still photographs (expandable to 25600) and 12800 for movies (expandable to 16000, 25600). Equipped with high resolution and high sensitivity, the EOS 80D's sensor works with the camera's DIGIC 6 Image Processor to enable Dual Pixel CMOS AF during Live View operation, and while capturing both Full HD 60 fps movies and Full HD HDR movies. Improved Dual Pixel CMOS AF helps you shoot video with smooth, fast and accurate autofocus, and stills with instant and precise autofocus - The EOS 80D camera features Canon's improved Dual Pixel CMOS AF for fast and smooth AF during Live View and movie shooting. Boasting enhanced speed, smoother tracking and compatibility with all EF and EF-S lenses, the EOS 80D's Dual Pixel CMOS AF system excels, providing stellar AF and tracking even in difficult shooting conditions. This Canon technology is made possible by placing two photodiodes per pixel, instead of one, and enabling each pixel to perform phase-difference detection autofocus. This means fast, accurate AF and virtually no loss in image quality with extended coverage across approximately 80% of the image plane. Built-in Wi-Fi allows you to wirelessly transfer images and movies to compatible devices or share on social networking sites - The new EOS 80D camera incorporates wireless technology right into its compact design. The camera's exposure settings, such as aperture, shutter speed, ISO, focus and shutter can be operated wirelessly using a compatible iOS or Android smartphone* with the free Canon Camera Connect app*. Using a compatible smartphone with the Camera Connect app* installed, you can shoot remotely from a distance, even in Live View mode, for those difficult-to-capture shots; you can also review images on the EOS 80D without having to take it out of the bag, and easily transfer and save images directly from the camera to a smartphone. Full DLNA (Digital Living Network Alliance) compatibility means easy sharing between the EOS 80D and other DLNA products, like HDTVs, smartphones and more. 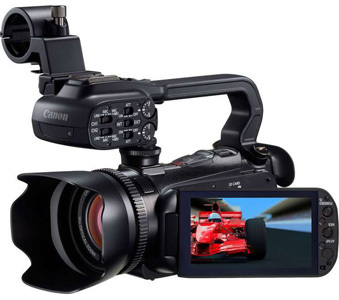 Still images can even be transferred between two wireless-enabled Canon cameras over a Local Area Network (LAN). Images and video can be uploaded instantly to CANON iMAGE GATEWAY# for easy sharing on social networking sites, and photos can even be printed on a wireless PictBridge-certified printer without the need for a PC. Remarkably, the EOS 80D has all of these wireless features without the need for any additional accessories; they're built right in! Built-in NFC allows quick and simple pairing to a compatible Android device and the Canon Connect Station CS100 device - Built-in NFC (Near Field Communication) helps provide a virtually seamless connection to numerous compatible Android? smartphones, and the Canon Connect Station CS100. To transfer your photos and videos, simply tap the EOS 80D camera to the Connect Station CS100 and the transfer is done! With the Connect Station CS100, you can store, view and organize all of your photos and videos from just one device. Full HD 60p helps capture brilliant results in MP4 format for high-quality shooting and easy movie sharing on social networking sites - The EOS 80D camera makes it easy to capture and share high-definition, high-quality movies quickly, easily and with virtually no compromise. In bright daylight or at dusk, whatever the speed of the action, the EOS 80D can help make sharp, beautifully exposed movies that are as easy to share as they are to capture. The camera's Dual Pixel CMOS AF system focuses fast, and Movie Servo AF tracking helps maintain focus even when the action gets going. The Vari-angle Touch Screen monitor also makes it easy to compose from most any vantage point, while Creative Filters and a clever Video Snapshot feature encourage experimentation. The ability to record movies as both MOV and MP4 files makes sharing fast and easy. Manual volume recording control, digital zooming and a headphone terminal add to the EOS 80D's impressive collection of high-end moviemaking features. Vari-angle Touch Screen 3.0-inch Clear View LCD II monitor enables flexible positioning and clear viewing even when outdoors - The EOS 80D camera comes with a Vari-angle Touch Screen 3.0-inch Clear View LCD II monitor for shooting videos and stills at a variety of angles, high or low, with up to 270° of vertical rotation and up to 175° of horizontal rotation. Whether shooting with a tripod or handheld, the EOS 80D's LCD excels in moviemaking at virtually any number of angles and positions, making it easy to create great movies of athletes on the field, kids in the park, documentary interviews and more. The screen is touch-sensitive, delivering intuitive touch panel operation. Two-finger touch gestures can be used for zooming or changing images. Menu and quick control settings can be accessed, and focus point and shutter release can be activated with the touch of a fingertip using Touch AF. Displaying fine detail (at approximately 1.04 million dots), this screen can be ideal for composing and reviewing images. The LCD's surface is also treated with a smudge-resistant coating to help minimize fingerprints and maintain a bright, clear image display, even in bright light. DIGIC 6 Image Processor helps provide exceptional image quality and processing speed - The EOS 80D camera is equipped with Canon's DIGIC 6 Image Processor, which helps provide excellent image quality and processing speed in both photos and video. High light sensitivity allows for high resolution with less noise when shooting in dark conditions at ISO 12800. The DIGIC 6 Image Processor also powers the camera's performance capabilities, providing full resolution high-speed continuous still shooting and distortion correction in-camera. Video recording in MP4 format provides seamless compatibility with mobile devices and tablets. Highly compressed MP4 video not only preserves space on your memory card but also improves playback on mobile devices. Recording HD videos using HDR movie feature is possible, expanding creative possibilities. ISO 100-16000 (expandable to 25600) for stills and ISO 100-12800 (expandable to 16000/25600) for movies for outstanding performance in bright to dim light - Thanks to its DIGIC 6 Image Processor and its remarkable noise-reduction technology, the EOS 80D camera features a wide ISO range of ISO 100-16000 (expandable to 25600) for stills and ISO 100-12800 (expandable to 16000/25600) for movies, performing brilliantly in low-light shooting even without a flash. Used with one of Canon's EF or EF-S lenses with Optical Image Stabilizer, the EOS 80D can record beautiful images even when light sources are scarce. More precise autofocus is provided by the 7560-pixel RGB+IR metering sensor which enables Color Tracking to accurately detect skin color - Among the advanced electronics onboard the EOS 80D camera, a fine-tuned RGB+IR metering sensor not only helps ensure accurate exposure, but also uses Color Tracking to detect skin color and help provide precise AF. This is particularly useful when establishing focus for portraits in situations where other AF systems may falter. When a skin tone is detected, AI Servo AF starts off on skin-colored points, then tracks the subject based of the original AF point's color information, maintaining focus on the person even when they're in motion. High-speed continuous shooting up to 7.0 fps allows you to capture all the action - Capable of shooting up to 7.0 fps during continuous shooting, the EOS 80D is an amazing camera for quick action. Canon's remarkable shutter, combined with speedy, sophisticated electronics, helps ensure virtually instant response and performance. A rapidly occurring scene can be captured moment by moment, second by second, so that even brief opportunities are captured in crisp clarity. Express your creativity with HDR Movie, Time-Lapse Movie and Creative Filter options - The EOS 80D camera introduces a number of new HDR (High Dynamic Range) modes that offer a great range of highlight and shadow detail for naturally rendered images, especially in contrasting lighting. In HDR Movie mode, the EOS 80D captures two HD movie frames at different exposures, one standard and one underexposed, in short succession at up to 60 fps, then combines them together for playback at up to 30 fps. HDR effects for still photography include Natural, Art standard, Art bold, Art vivid and Art embossed. Time-Lapse Movie - The EOS 80D camera has a Time-Lapse Movie feature that takes still photos at set intervals and joins them to create a silent movie. Ideal for showing the moving clouds across the sky, growth of a plant, changes in scenery, the flow of people walking and more, the EOS 80D's Time-Lapse Movie function creates professional-quality movies in-camera without the need for a computer, saving precious time when out in the field. Creative Filter Options - To add to the fun and creative possibilities available with the EOS 80D, the camera has seven different Creative Filters for Live View shooting that can dramatically alter the mood and visual effect of any particular scene. Creative Filters include Grainy Black and White, Soft Focus, Fisheye Effect, Toy Camera Effect, Miniature Effect, Art Bold Effect and Water Painting Effect. The EOS 80D also adds five new Creative Filters for movie shooting, including Memory, Dream, Old Movies, Dramatic B&W and Miniature Effect movie. Each effect can be applied in three varying levels and easily previewed on the LCD panel in Live View. Since the filters can be applied to the image after shooting, it's easy to try several effects on the same shot during post-process. Anti-flicker helps compensate for flickering light sources and provides consistent exposure and color during continuous shooting - The EOS 80D camera features a flicker detection system that not only alerts the user in the viewfinder, but with the camera's Anti-flicker Shooting function can compensate for flickering light sources, taking shots only at peak light volume. This feature is useful for minimizing disparities in color and exposure, especially during continuous shooting in sub-optimal lighting situations. 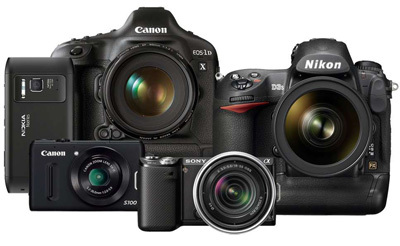 Shutter durability tested up to 100,000 cycles - The EOS 80D camera features a powerful mechanical shutter system with electronically controlled speeds from 1/8000 to 30 sec. at up to 7 fps. An improved mirror drive enables high-speed, low-vibration performance, and even has a silent mode for up to 3 fps, continuous and quiet use. The shutter is rated to 100,000 exposures, resulting in predictable, reliable performance time after time and frame after frame.